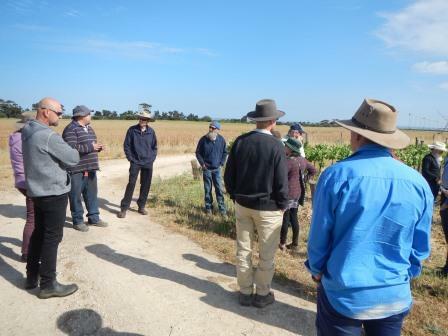 Last week, Ben and Sherie took a group of interested landholders on a tour of properties where weeds have been treated using non-traditional weed control methods. 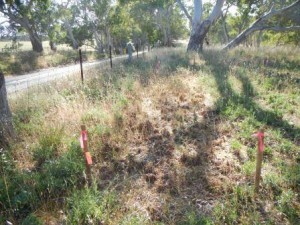 The tour included sites where GWLAP has undertaken trials through an Agriculture and Fishing Innovation Grant from the South Australian Murray-Darling Basin NRM Board. Firstly, the group visited Temple Bruer to see the vineyard where inter-row weed control was successfully achieved using a purpose-built plow to upturn the weeds. An added bonus at this site was seeing the use of Biochar made from a giant reed, Arundo donax, which can grow up to 20cm in one day. At stop two, near Ashbourne, the group looked at the results using of non-synthetic herbicides Biosafe (TM), pine oil and urea. 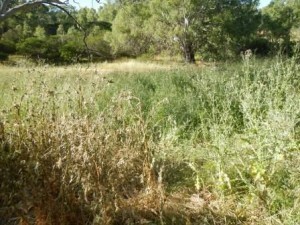 A number of plots containing common weeds including slender, scotch and artichoke thistle, scabiousa, plantane, blackberry, nightshade, cocksfoot and marshmallow were treated with the herbicides at different rates. 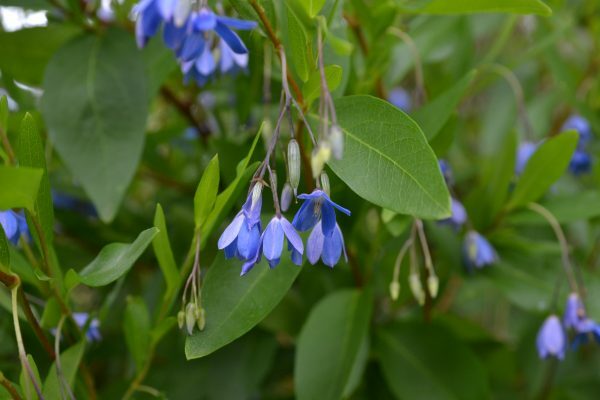 There were a lot of different results to view, with the general consensus being that pine oil had worked really well on scabiousa – the weed had burned off within two days of application. The third stop, Angove Winery heard about mid-row weed control trials using steam, slashing and nutrient control. The group heard about the dos and don’ts for organic viticulture and it was interesting to hear from the vineyard manager that managing the organic vineyards was easier than managing the conventional vines. At Mt Jaggard, participants saw where gorse and blackberry re-growth was controlled using Biosafe (TM) and pine oil. 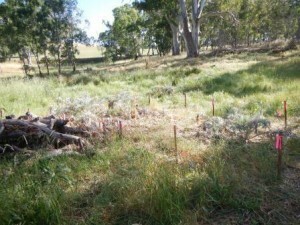 This project is supported by the Goolwa to Wellington Local Action Planning Association through funding from the Australian Government’s National Landcare Programme and the South Australian Murray-Darling Basin Natural Resources Management Board. Weed Alert! 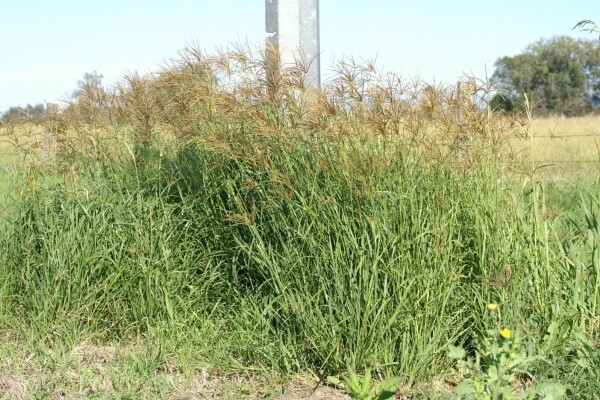 Look out for Rhodes Grass!